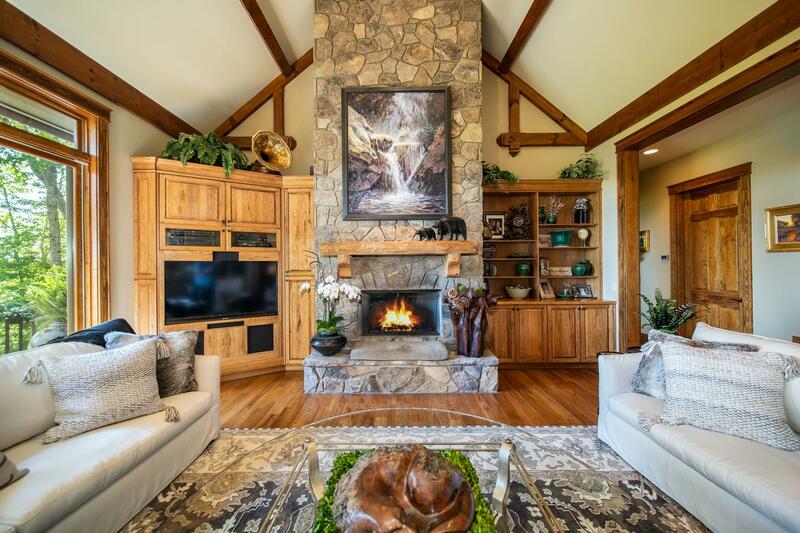 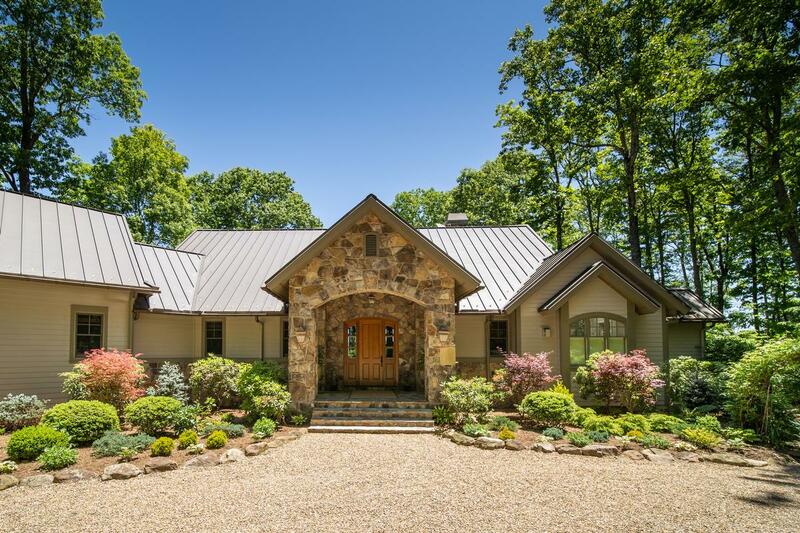 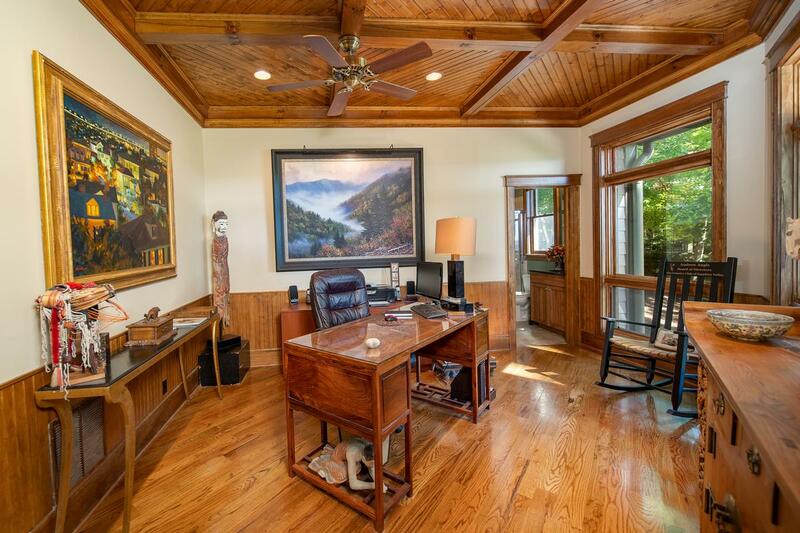 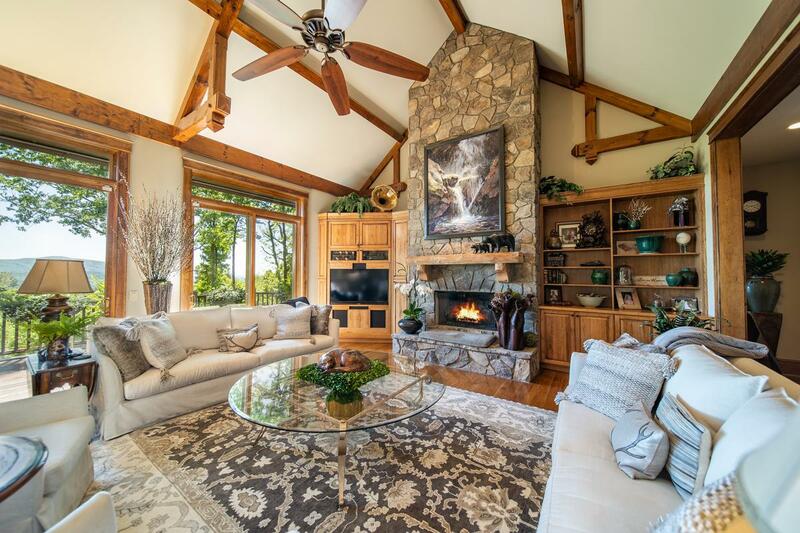 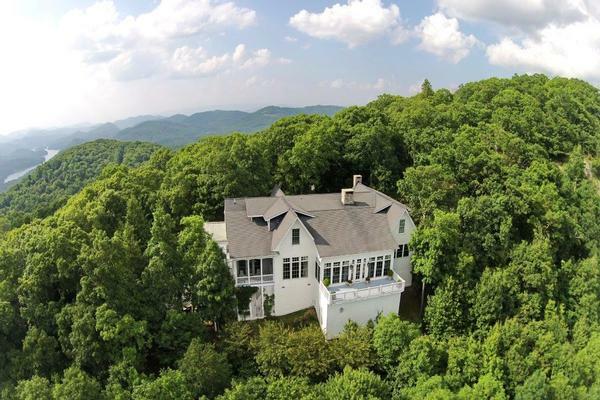 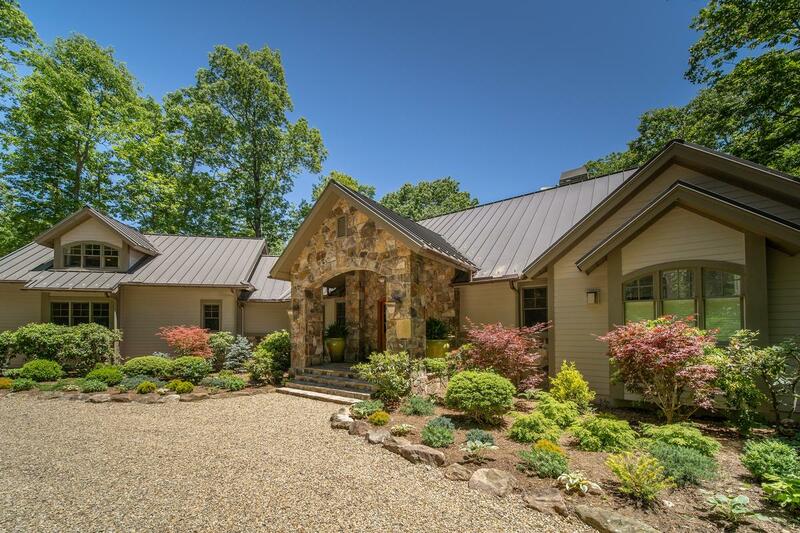 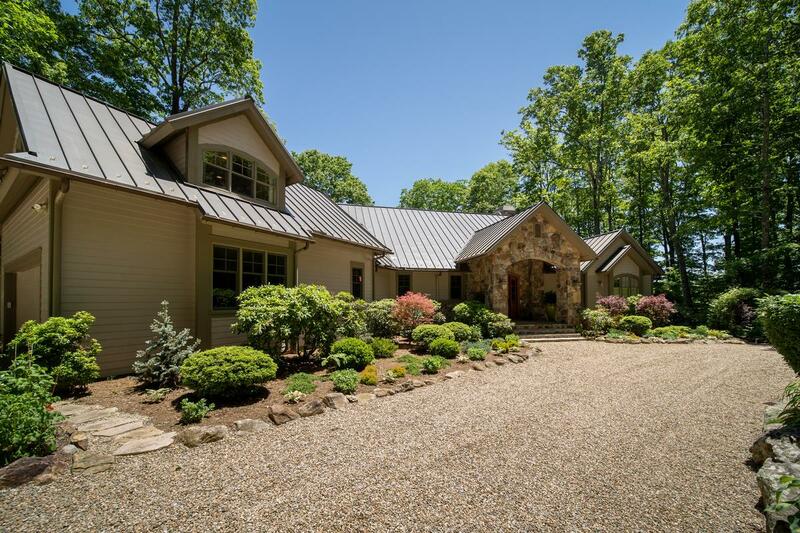 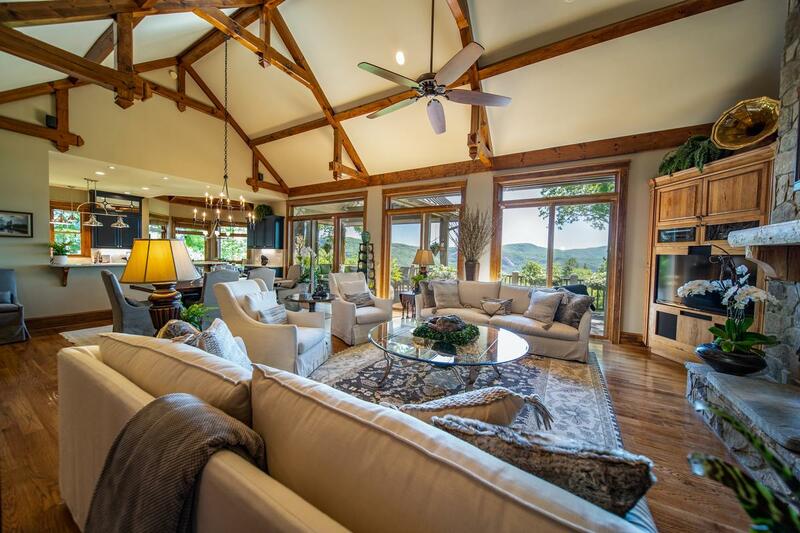 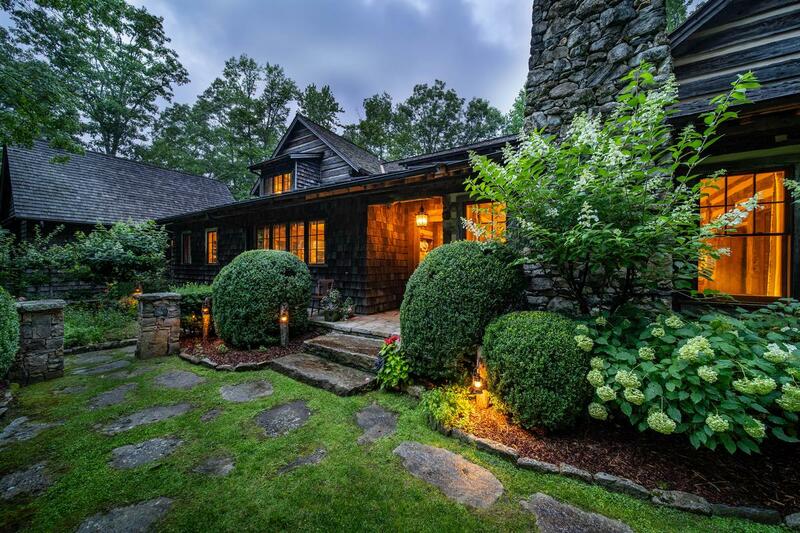 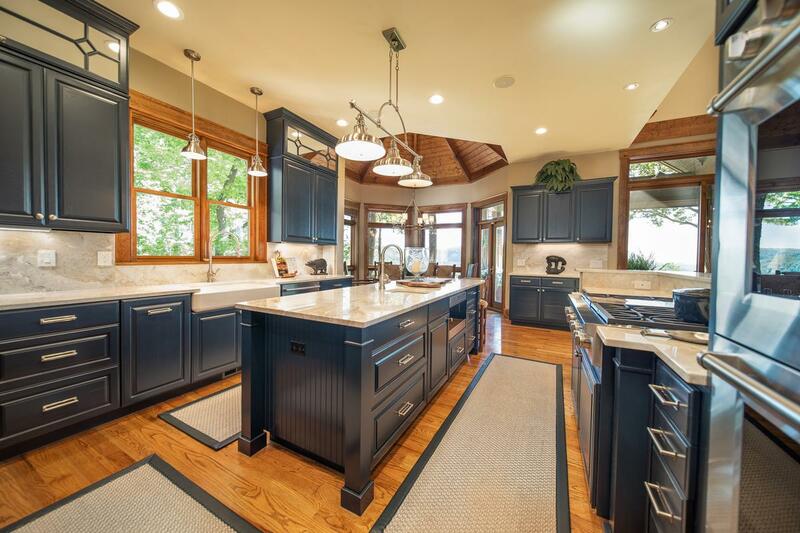 Nestled in a shady grove of trees at the summit of gated Cedar Hill, this elegant custom-built mountain estate bids welcome to all who enter. 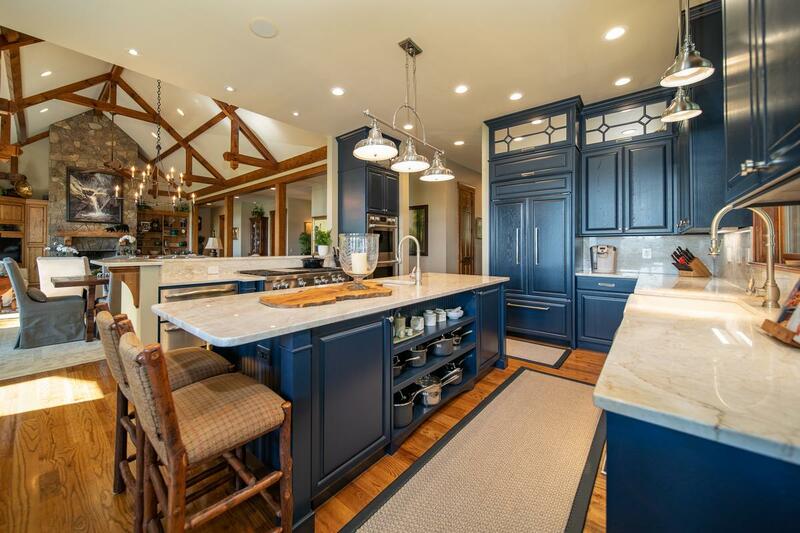 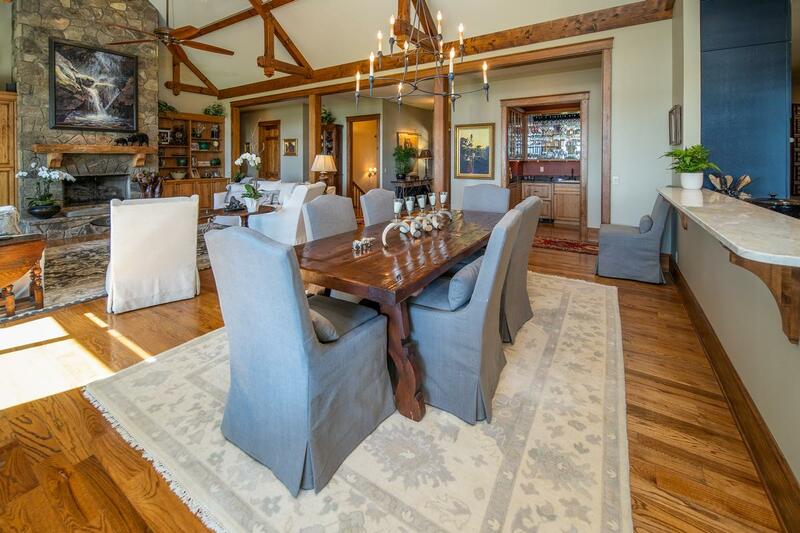 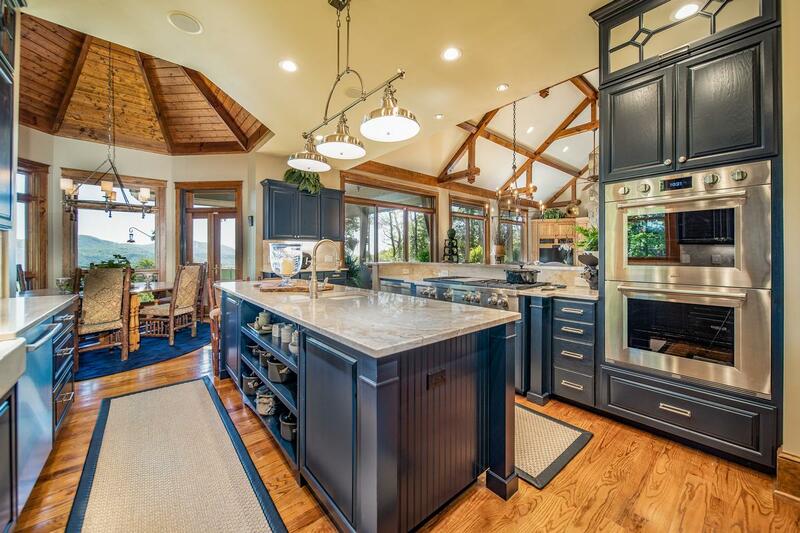 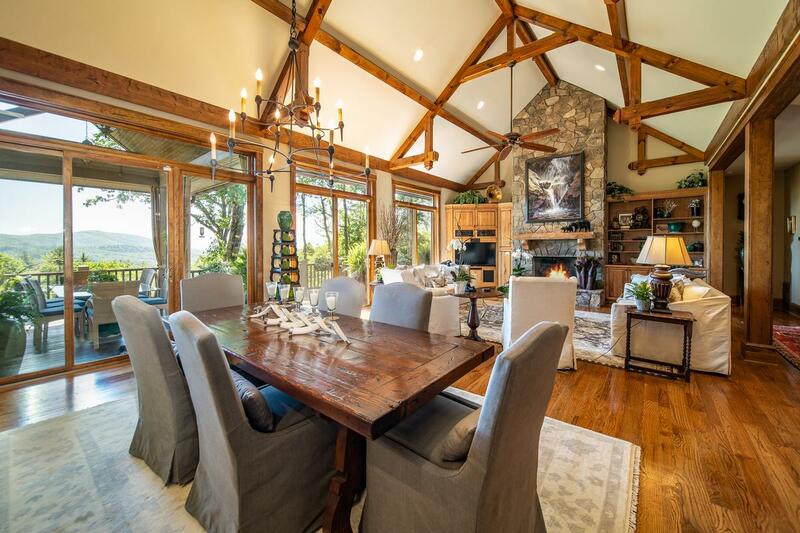 Both formal and casual entertaining are a pleasure with the gourmet kitchen, butler's pantry, and wet bar flowing easily to the great room with its striking stone fireplace, soaring ceiling with exposed beams and gorgeous wide plank oak floors. 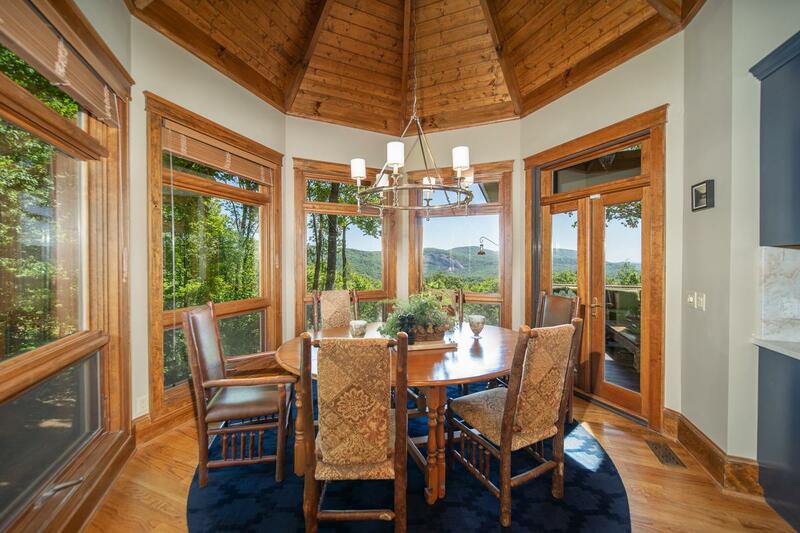 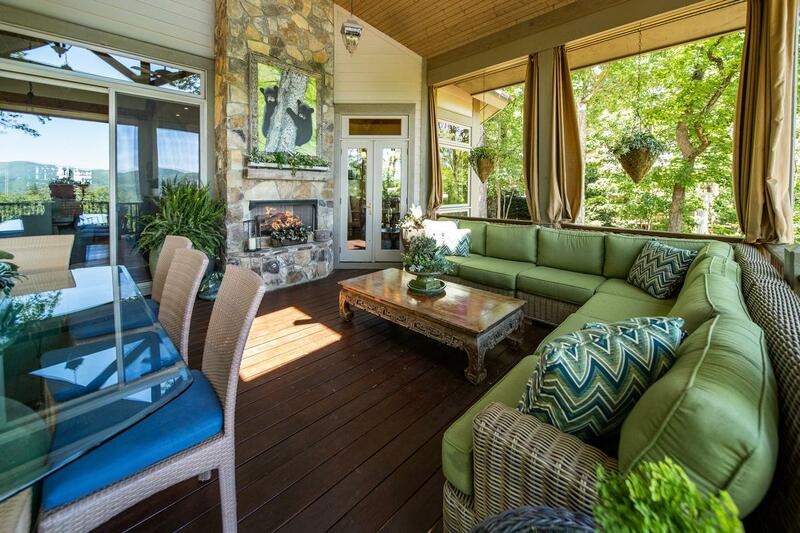 Step out onto the sublime covered living porch with its own fireplace - the perfect spot for savoring a glass of wine or dining al fresco in the fresh mountain air. 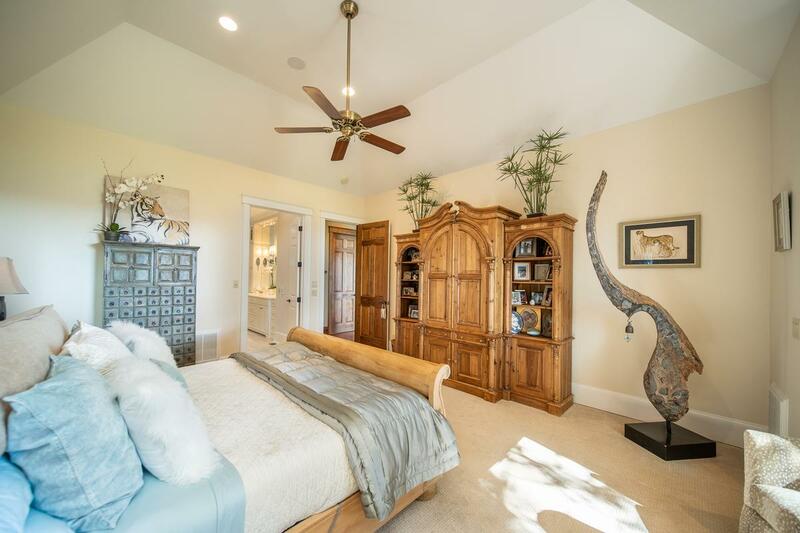 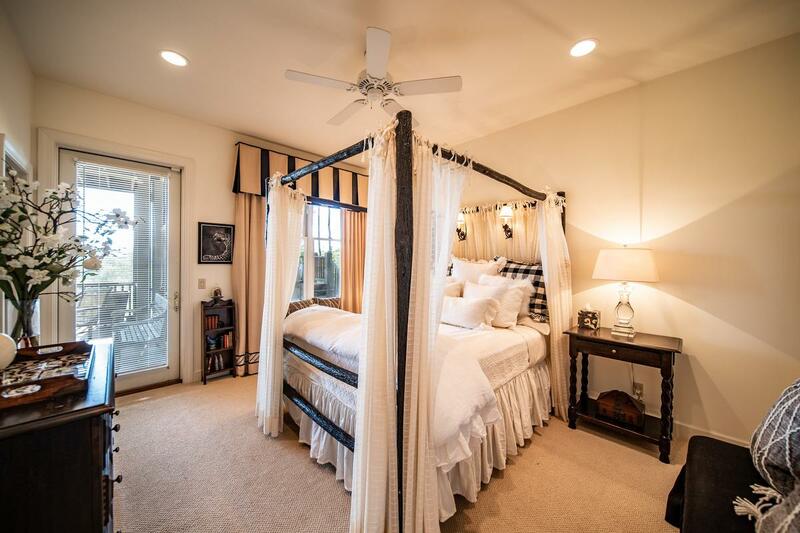 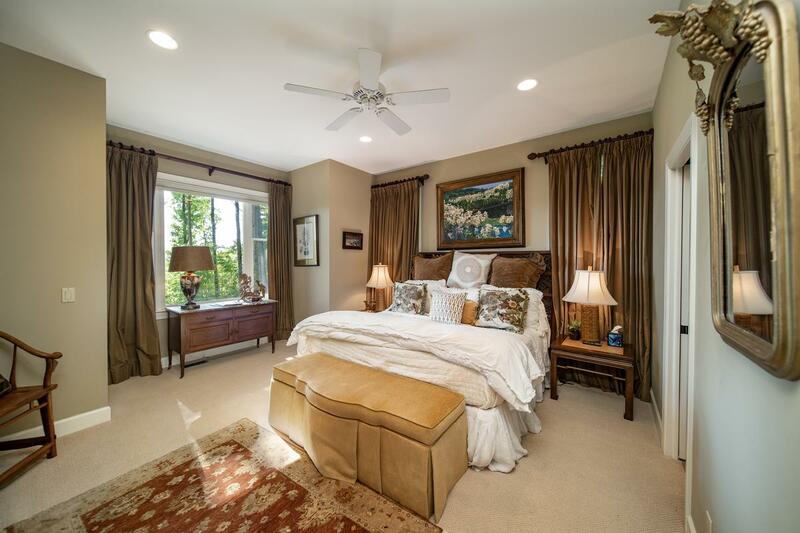 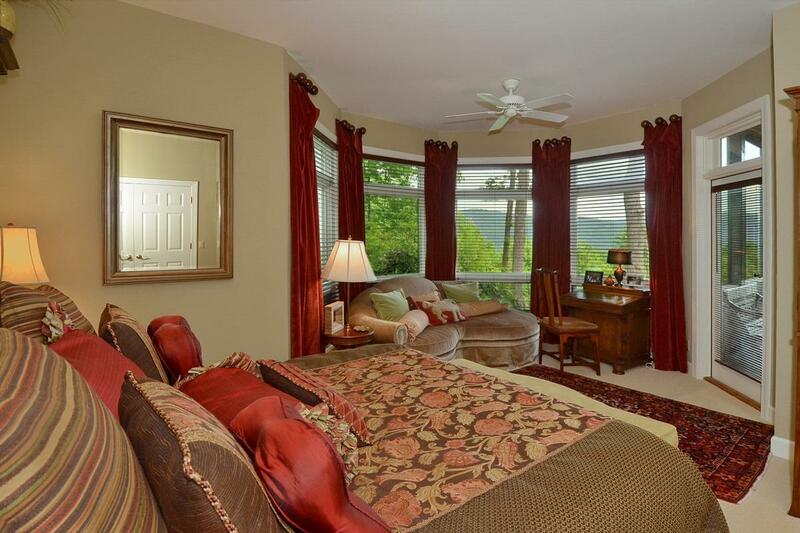 The spacious master suite with it luxurious bath is located on the main floor along with the study. 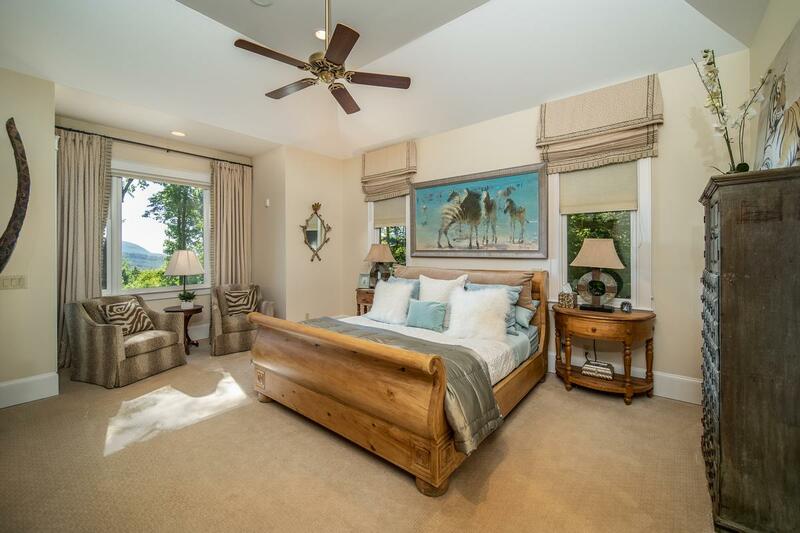 Downstairs, guests can relax by the hearth in the family room before retiring to one of three beautiful guestrooms with en-suite baths. 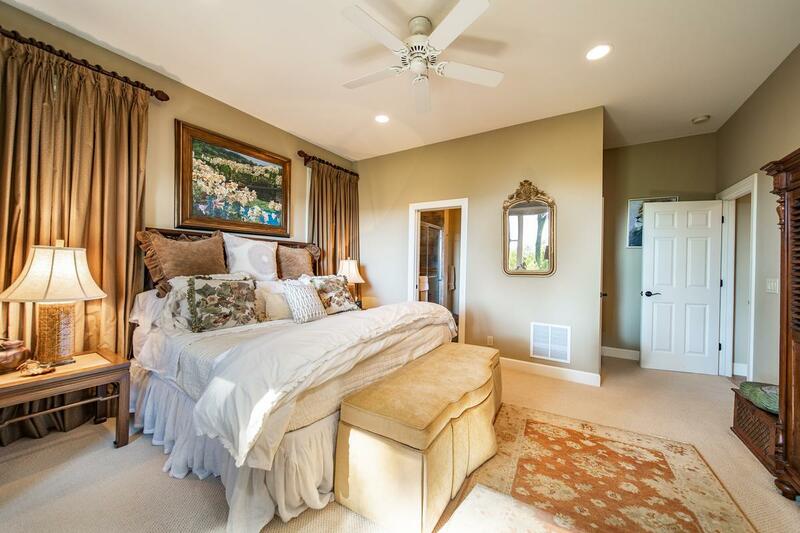 Additional sleeping quarters and generous storage can be found on the upper level. 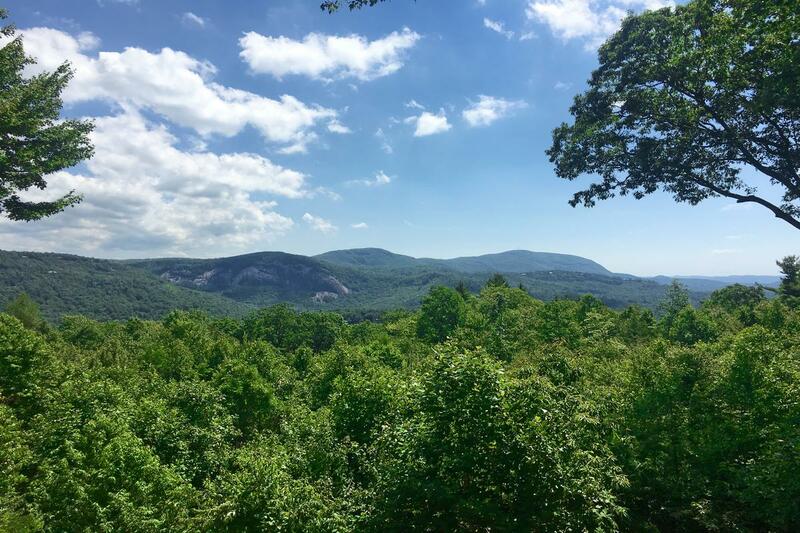 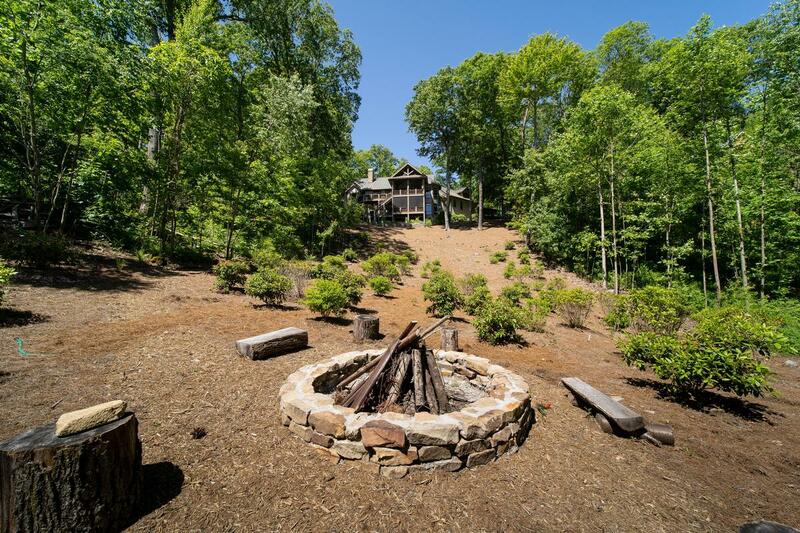 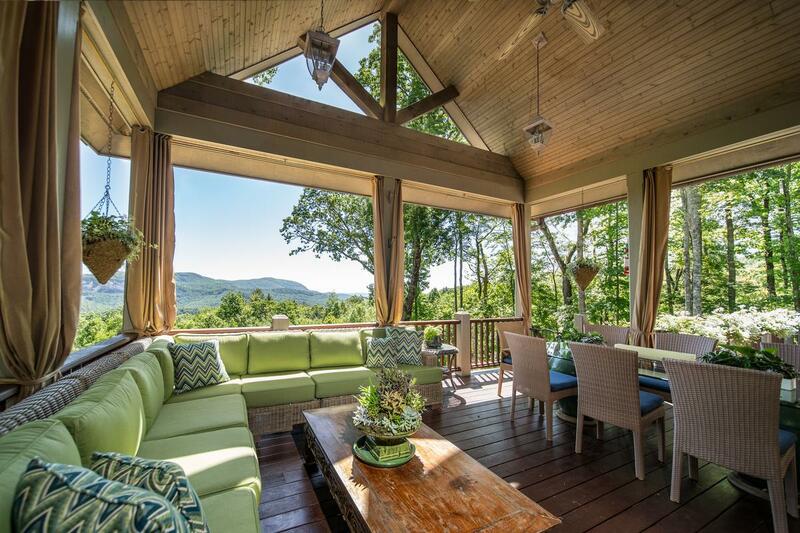 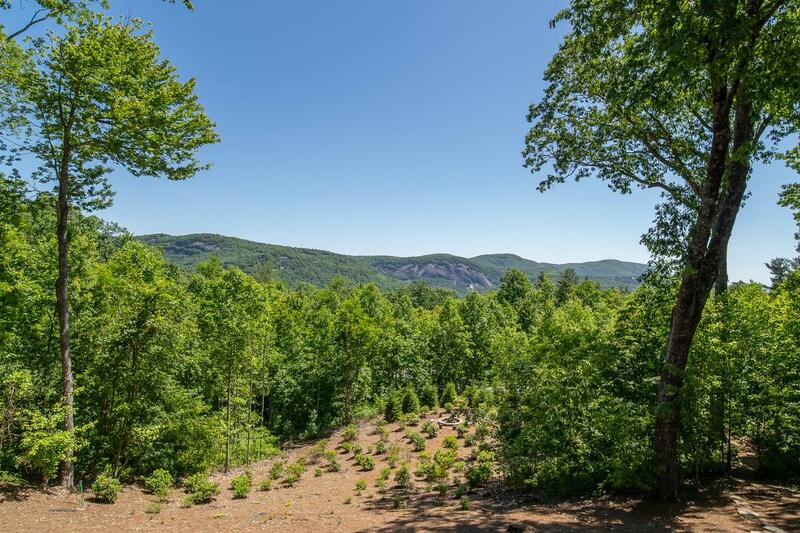 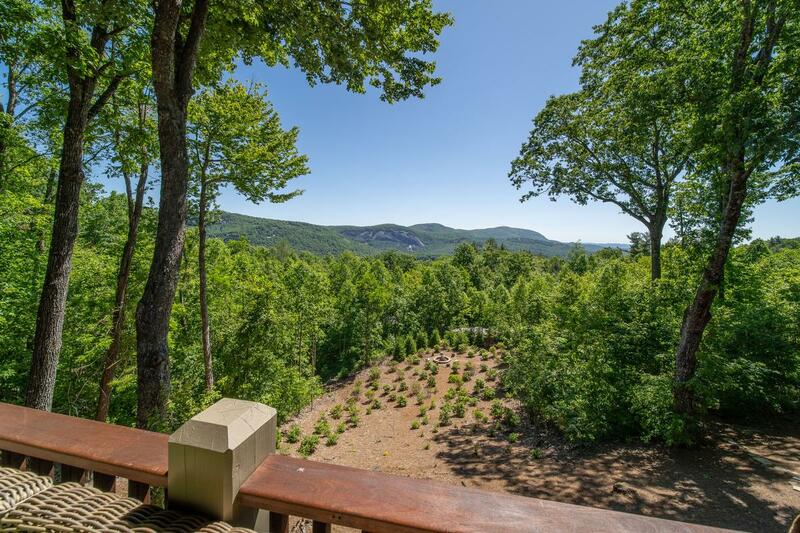 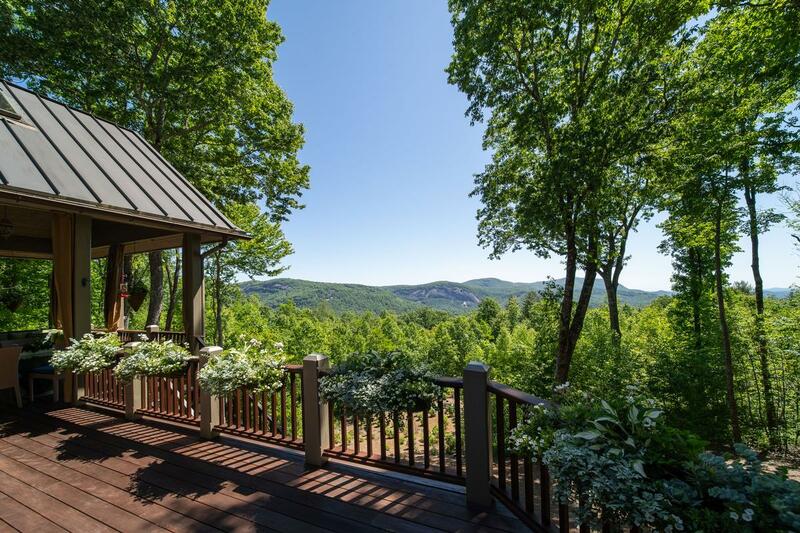 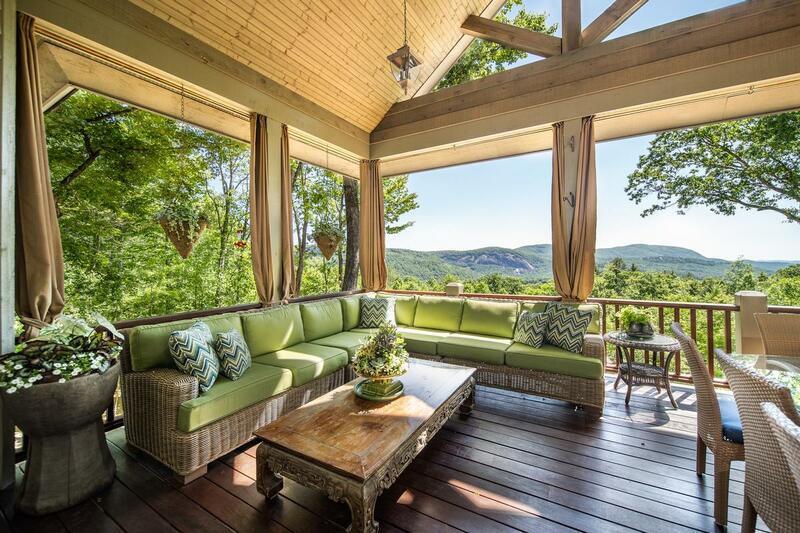 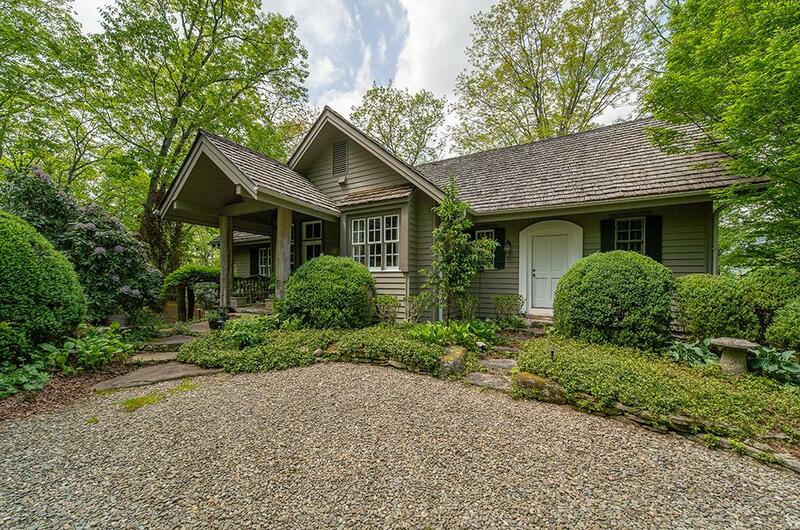 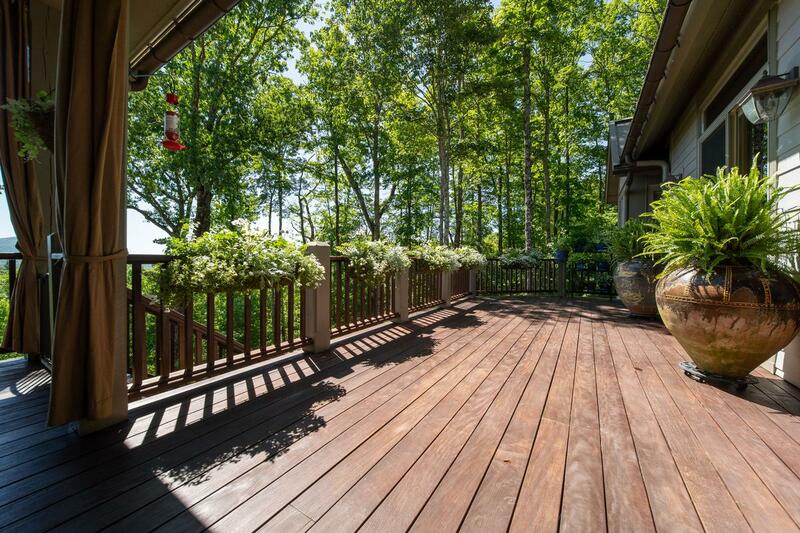 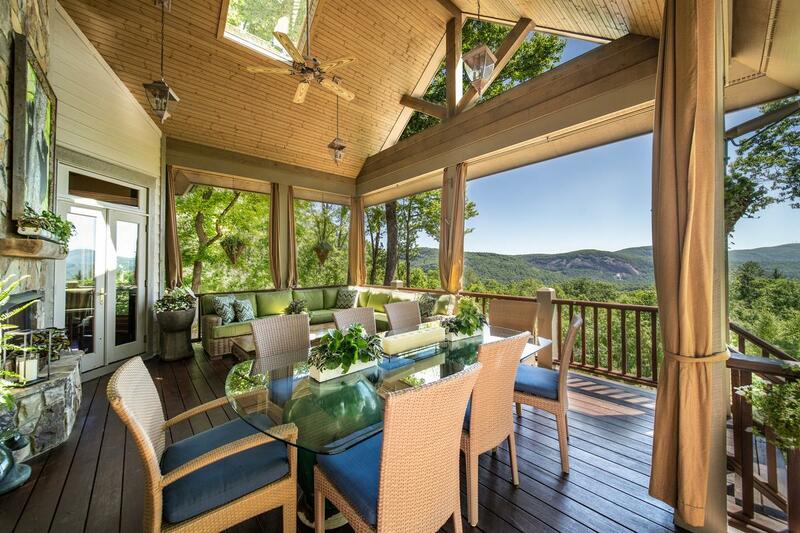 Two stories of decks make this home a great place for a party under the stars or just enjoying the magnificent views of Bald Rock and beyond.